HANGZHOU FIRST APPLIED MATERIAL CO.,LTD. 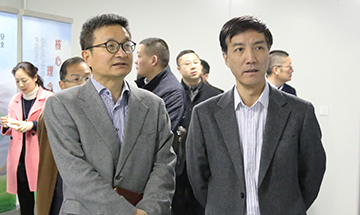 On December 11-13, the sixth strengthen the application of the Yangtze river economic belt along the "area" distributed energy innovation development BBS held in nanjing, the BBS is guided by the Chinese renewable energy institute, renewable energy industry association of jiangsu province. 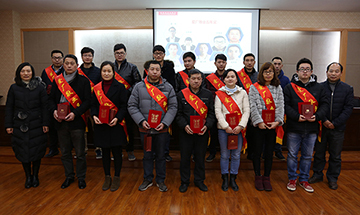 In BBS, in 2016, leading the Chinese renewable energy first top 100 enterprises to identify and First qualified in the first legion fortune 100 list. China's renewable energy field after ten years of development has made remarkable achievement: photovoltaic application continuous won the world's superpower, wind power capacity in the world. The BBS was closely related to the theme of to promote renewable energy application across borders, explore renewable energy to change the transformation and upgrading of the Yangtze river economic belt of energy, and share all the way "area" of the thinking of development of the distributed energy innovation, contents include Internet, electric power, photovoltaic energy, wind power, energy storage, distributed, and other fields, is involved in renewable energy and renewable energy equipment industry platform panoramic activities.